To symbolize well wishes and blessings, wedding bells have been used for so many ages that it’s become a tradition to have them ring bells at weddings. It’s so well known and associated with marriage that the saying, “Do I hear wedding bells?” is used whenever a couple is suspected of getting married. 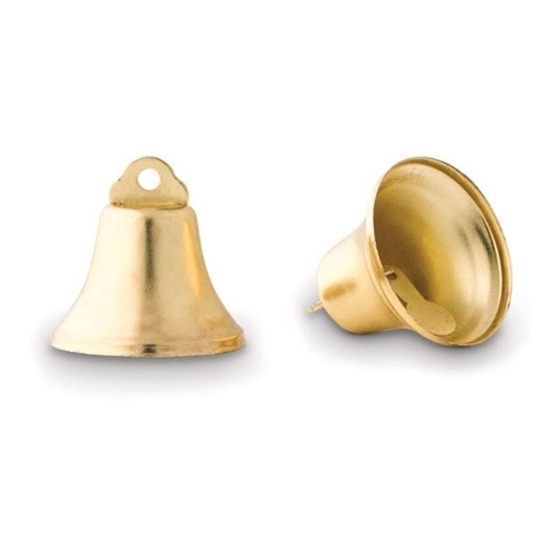 These gold bells are the perfect favors to give out to guests, allowing ringing bells to be heard throughout the celebration. You would be walking amongst blessings and graces everywhere you go. The bells are small but the ringing sound is clear as the summer sky. One set includes two bells that you can tie together with a ribbon. You can set it on tables or hang it on walls as a nice wedding decor. They are so versatile and you can use these as whatever your creativity will allow. Get these gold wedding bells to send in your blessings and graces.